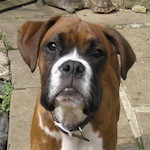 Archie was diagnosed with an advanced type of blood cancer called lymphoma in September. He started a treatment called the Wisconsin protocol but did not respond so he was referred to a specialist oncology department, who put him on a ‘rescue’ protocol. Archie will be 6 on December 1st. Amazingly he doesn’t know he is sick and apart from one stay in hospital on intravenous fluids for sickness and diarrhoea he is currently enjoying a good quality of life. His favourite game is playing with his ball. 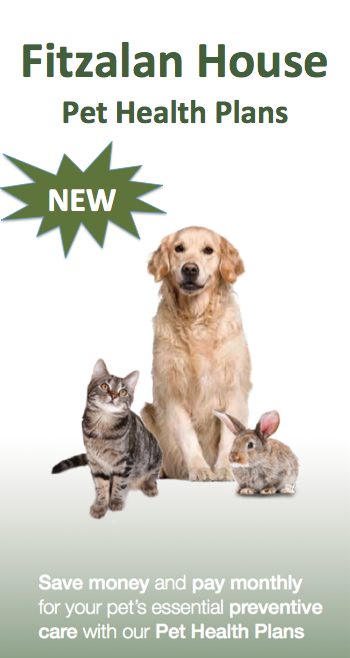 Fitzalan House Veterinary Group are delighted to announce the launch of their Pet Health Plans which will provide you with a simple, money-saving way to give your cat, dog or rabbit the regular preventive treatments he or she needs, all for a monthly Direct Debit payment. At Fitzalan House Veterinary Group we believe that a proactive, preventive approach to your pet’s healthcare is far better than waiting until your pet is vulnerable, ill or suffering to put things right. We want to make responsible pet ownership simple and affordable, which is why we have designed these Pet Health Plans. The plans cover all the regular essentials at a discounted rate, and in addition, we will also give you exclusive discounts on dental treatments, routine neutering, prescription diets, and much more. Pet Health Plans are not pet insurance: Pet Health Plans include the regular things – like vaccinations, flea, worm and parasite treatments, health checks and advice in your monthly payment plan – that pet insurance generally doesn’t cover. However young or old your pet, a Pet Health Plan is designed to adapt to your pet’s needs, from puppy or kitten, to adulthood and throughout its senior years. A Pet Health Plan makes it easy for you to protect your pet and your family against preventable diseases and discomfort by making sure your pet’s vaccinations, flea and worm treatments can be kept up to date. Plus, regular check-ups and early diagnosis of any potential health issues will help your pet enjoy a long, comfortable life, whilst saving you money and worry too. We have teamed up with Pet Health Plans from Denplan, who will collect your Direct Debits on our behalf and take care of the administration of the plans. This frees us to concentrate on looking after your pets. When Pudge, a parakeet, accidentally flew into a window two months ago it was with horror that his owner found he had broken off his upper beak. 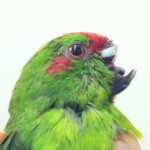 An avian specialist was contacted but it was decided that reattaching the beak would not be possible. His owners initially had to give Pudge lots of assistance to help him cope with his obvious difficulty eating but soon Pudge adapted and he has coped very well. In 2012, only half of the UK dog and cat population were fully protected against infectious diseases. Was your pet one of them? Are annual boosters really necessary? Major studies have been carried out to determine whether the annual booster period can be extended. As a result some vaccines, such as rabies, are now licensed to protect pets for up to three years. However, it is vital to realise that for some diseases, protection is much shorter. Especially for leptospirosis in dogs – no vaccine will protect your pet for more than a year – and leukaemia in cats. This is based on real data and studies have shown that even with one of the best vaccines protection starts to decline after about 12 months. So despite significant developmental advances annual boosters are still essential. Our practice is launching a scheme this November only to help you ensure that your pet’s vaccinations are up-to-date. If your pet’s last vaccination was more than 18 months ago, a restart consisting of a full course of two vaccinations will be necessary to maintain protection. 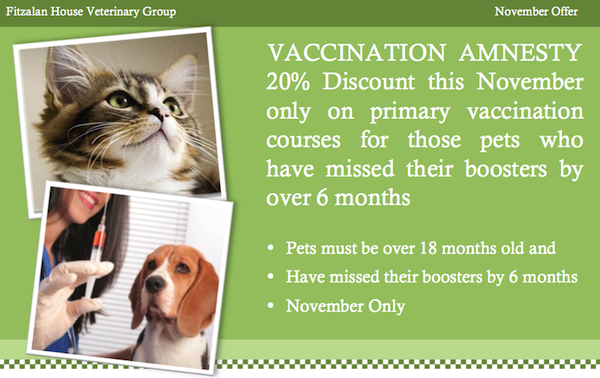 We’re offering owners the opportunity of having a full vaccination course for the price of a booster, saving up to £12. In addition, this visit will also enable us to give your pet a full lifestyle health check and identify any other potential health problems at an early stage. Remember, prevention is always better than cure! To participate, simply speak to our receptionist or ring the surgery to book an appointment and enrol your pet in the scheme, which will only be running until 30th November 2013. 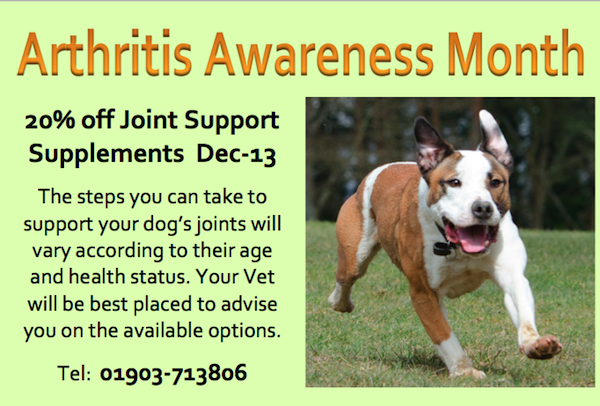 Just one step to find out more could ensure your pet stays healthy!